New research finds that unchurched people in the United States are not always unbelievers—in fact, most aren't. 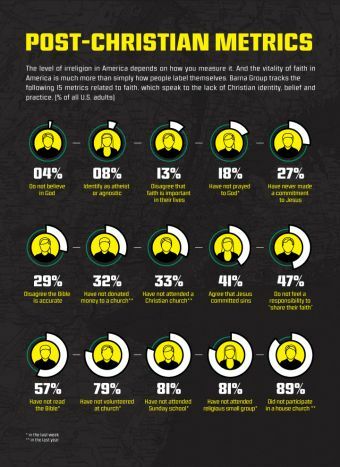 The majority are non-practicing Christians: They claim Christianity as their faith, but they haven't been to church in a long time research collected in new Barna project "Churchless," edited by David Kinnaman and George Barna. Over the past year, Barna Group said it has spent a considerable amount of time studying the unchurched - those who have not attended church within the past six months. But the authors sought to find out about atheists and agnostics and whether their numbers are on the rise. They also sought to find if more of the unchurched becoming unbelievers, too and who are the atheists? 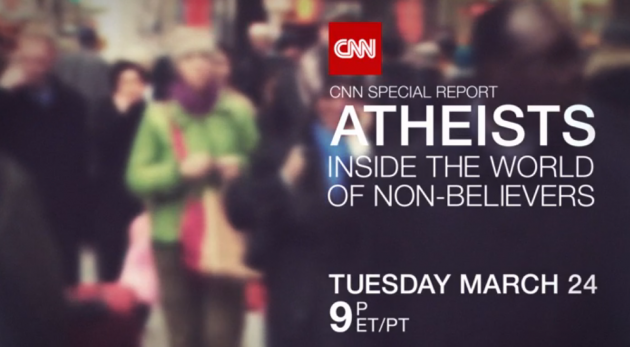 For its reporting purposes, Barna often combines atheists and agnostics into one group, which it calls skeptics. Barna found skeptics represent one-quarter of all unchurched adults (25 percent). Nearly one-third of skeptics have never attended a Christian church service in their lives (31 percent). That's nearly double the proportion of "virgin unchurched" who are not skeptics (17 percent). At the same time the study found that the profile of a typical skeptic is different today from a decade or two ago. Today's skeptics, like their counterparts from two decades ago, are defined by their denial of or doubts about God's existence. But that is about the only thing they have in common with the unchurched atheist or agnostic of yesteryear. Skeptics are getting younger. They are today are, on average, younger than in the past. Twenty years ago, 18 percent of skeptics were under 30 years old. Today that proportion has nearly doubled to 34 percent - nearly one-quarter of the total U.S. population (23 percent, compared to 17 percent in 1991). By the same token, the proportion of skeptics who are 65 or older has halved to just 7 percent of the segment. Skeptics are more educated. Today's skeptics tend to be better educated than in the past. Two decades ago, one-third of skeptics were college graduates, but today half of the group has a college degree. More of them are women. Perhaps the biggest transition of all is the entry of millions of women into the skeptic ranks. In 1993 only 16 percent of atheists and agnostics were women. By 2013 that figure had nearly tripled to 43 percent. This enormous increase is not because the number of skeptic men has declined. In fact, men's numbers have steadily increased over the last two decades - but not nearly as rapidly as among women. Skeptics are also more racially diverse. "Religious skepticism has become more racially and ethnically inclusive. While whites represented 80 percent of all skeptics 20 years ago, that figure had dropped to 74 percent by 2013," says the study. This is largely due to increasing Hispanic and Asian adults among the skeptic group. "Asian Americans, the least-Christian ethnic demographic in the United States, especially tend to embrace scepticism," say the authors. While a growing number of skeptics are Hispanic, they still remain, along with blacks, less likely than other ethnic groups to accept the idea of a world without God. White Americans, who constitute two-thirds of the country's total population, are well above average in their adoption of atheism and agnosticism; they comprise three-quarters of the skeptic segment. In many ways, skeptics resemble the rest of America more than they once did. And their numbers are growing more quickly than anyone expected 20 years ago. "They are more dispersed regionally. In decades past, the Northeast and West were seen as isolated hotbeds of atheism and agnosticism," note the authors. They still remain the areas where skeptics are more likely to live, but the skeptic population is now broadly dispersed across all regions of the United States.